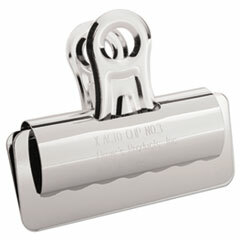 Original, timeless Bulldog paper clips. Portable and versatile for all types of organizational projects. Clip/Clamp Color(s): Silver Clip/Clamp Jaw-Size Capacity: 7/8"
Clip/Clamp Type: Bulldog Clips Clip/Clamp Width: 2 5/8"